Lynne Poulton of Wholly Organized! STOW, Ohio - Jan. 12, 2015 - PRLog -- Professional organizer and Wholly Organized!® LLC founder Lynne Poulton is the proud recipient of the 2014 Distinguished Sales and Marketing Award® (DSMA®), sponsored by the Akron/Canton, Ohio affiliate of Sales & Marketing Executives International (SMEI). This honor recognizes the outstanding accomplishments of sales and marketing professionals in the Akron/Canton area. “It is an honor to be nominated by my coach and recognized with this award by the Akron/Canton affiliate of Sales & Marketing Executives International (SMEI). I am continually inspired by my clients who welcome me into their lives and want to live in organized spaces,” explains Lynne. She will receive her award on February 24, 2015 at SMEI Akron’s 43rd annual gala event held at the Tangier in Akron. 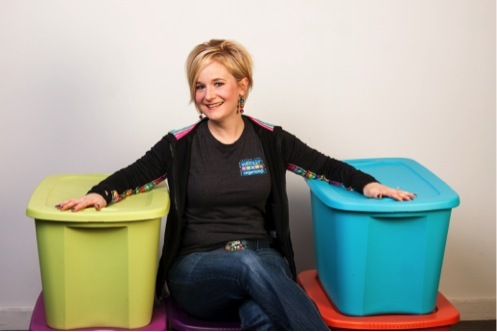 Lynne Poulton is a professional organizer serving Northeast Ohio. She founded Wholly Organized!® LLC based on her desire to merge her passion for empowering and helping others with her personal belief that being organized helps promote a better quality of life. Lynne is a Licensed Social Worker with a B.A. in Social Work from Luther College in Decorah, Iowa. She is a member of the National Association of Professional Organizers, where she serves as the Director of Membership for the Ohio Chapter. She is also a member of the Cuyahoga Falls and Stow-Munroe Falls Chambers of Commerce, Tuff Stuff, and Summit Senior Services Network. She partners with 10 area social service agencies in her work with Wholly Organized!®. Wholly Organized! works with individuals and businesses to take control of clutter. They take the entire client into consideration when tackling any project, using a holistic approach to design customized organizing solutions for someone’s space and life by focusing on their goals, strengths and uniquenesses. Poulton will work with the client to determine what items can be thrown away, recycled, donated, or sold. For more information about Wholly Organized! or to learn more about Lynne, visit http://www.wholly-organized.com or contact her directly at 330-858-5886 or via email at lynne@wholly-organized.com.